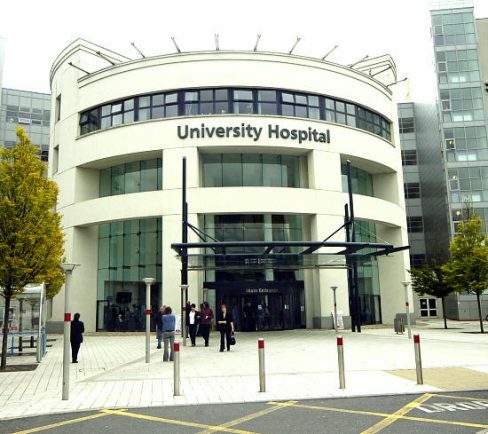 OUTPATIENT clinics at University Hospital (UHCW) will ‘return to normal’ this afternoon (Thursday), after an ‘exceptionally busy two days’ saw hospital bosses instruct patients to avoid admitting themselves to A&E. All outpatient clinics and planned operations – excluding emergency, cancer and pediatric operations – were cancelled after more than 500 people attended A&E on Tuesday (January 27), with ‘dozens’ waiting for more than four hours to be treated. And while staff remain under pressure, the University Hospitals Coventry and Warwickshire NHS Trust, which runs the hospital, has said work is underway to clear the ‘unprecedented’ waiting times and reopen services. Anyone scheduled to undergo an operation has been asked to check it has not been cancelled before arriving at the hospital. Chief Executive Officer, Andy Hardy said: “I would like to thank our staff and community for working together today in what was an incredibly difficult situation. “We are not out of this yet but are moving in the right direction. Residents are still being asked to consider alternatives to A&E. If people need medical help fast but it’s not life threatening they should consider accessing GPs, pharmacists or walk-in centres. If people are not sure where to go, call NHS 111 where a trained operator will assess and direct you to the best-suited service. NHS 111 is available 24 hours a day, 365 days a year and calls are free from landlines and mobile phones. Patients can also search on www.nhs.uk if they are unsure of what services are in their local area.